The Americans with Disabilities Act (ADA) was signed into law on July 26, 1990, by President George H.W. Bush. What is the definition of ADA? According to http://www.ada.gov, an individual with a disability is defined by the ADA as a person who has a physical or mental impairment that substantially limits one or more major life activities, a person who has a history or record of such an impairment, or a person who is perceived by others as having such an impairment. This results in ADA Special Needs. Access Renovations Improve your style of living or office building spaces with our remodeling services for any of your construction needs, including custom home builder, ADA-compliant rooms and tenant build-outs. These projects have established written codes for installation and construction. It is of the utmost importance for us to give you excellent service combined with competitive pricing. If you need a Custom Home Builder or a Remodeling service Company for ADA Special Needs Accessibility in Pasco, Pinellas and Hernando counties, you have come to the right place. First of all, towel bars, for instance, may need to be lowered. In a addition, an 18” height toilet may be preferable for easy transfer. Grab bars are very important and should be installed by the toilet, tub, and in the shower. Grab bars should be the right size in diameter and placed in the correct spots. Furthermore, Grab bars need to be placed at the proper height with the correct strength. 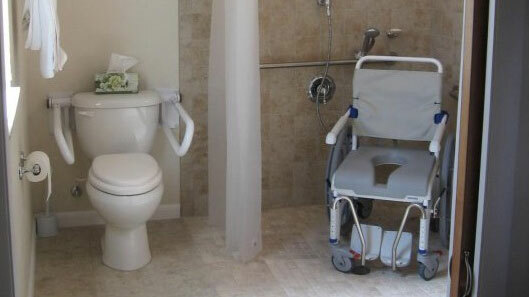 A hand-held shower may replace your traditional shower head therefore, someone that has difficulties can use a chair or bench and still shower independently. Floors should not be slippery. Vinyl and slick tile are consequently not good choices. 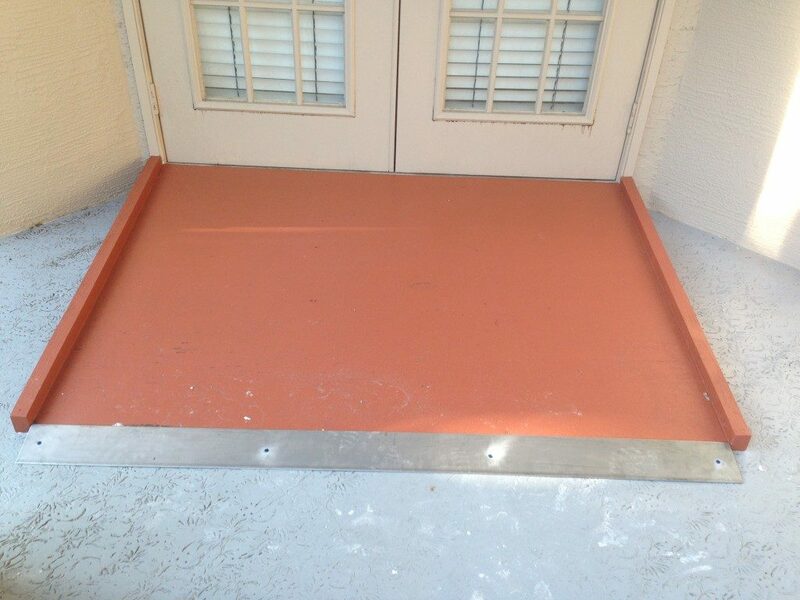 A NON-Slip tile with a Coefficience of friction number or C.O.F.# would be the best product to use. It’s not easy to have physical disabilities, but we can make it easier for you or your loved ones. Our General Building Contractor is an expert in addressing your physically disabled or ADA Special Needs Accessibility remodeling requirement service needs. We hope we can help you too!